Mr & Mrs Oakley Got It Right The First Time! Mr & Mrs Oakley are both first time motorhome owners and were in search for their first Auto-Sleeper motorhome as they wanted to take a trip to Wales in one as soon as possible. 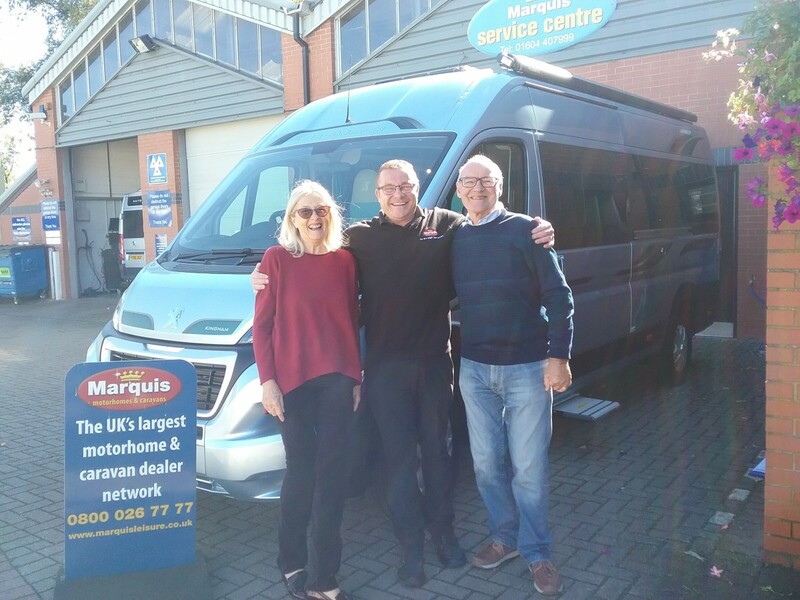 The couple took a trip to their local dealer, Marquis Northants, where sales manager, Adam Fall, guided them around the branch and showed them the extensive range of Auto-Sleeper models available. However only one Auto-Sleeper stood out for them. The Kingham. They found exactly what they’d been searching for in the Auto-Sleeper Kingham. The Kingham raises the bar to an all-new level, featuring a fixed French double bed that can slide back to lift the rear section to provide backrest support, pulls down flat for night time use and can lift up on gas struts for access to the large storage area beneath. Offering majestic luxury; The Kingham raises the bar to new heights with a fixed double bed that can slide back to lift the rear section to provide backrest support along with a fully featured kitchen and swivelling cab seats at the front that combine to truly make the Kingham a luxurious 2-berth motorhome.